CottonTrends® - The fabric Label makers - Frequently Asked Questions. Most woven and printed labels and printed fabrics are ready to ship within 1-3 working days. Custom clothing, woven sew-on labels and textile items made to order could take a few days longer. We'll notify you via e-mail when we ship your order. We ship Priority/Express Mail by Australia Post. The package fits in your mailbox. Delivery usually takes 2-10 working days. We do not have any influence on the delivery times of the postman or possible delays in delivery. All orders are delivered for $2.95. A shipping surcharge may apply on especially large or heavy items. Such surcharge will be displayed on the product page. Shop with confidence using SSL connections for secure payments. We accept all major credit and debit cards, including Visa, American Express, Maestro and MasterCard, PayPal payments and (direct) debit cards. Unfortunately we can not accept cheques. 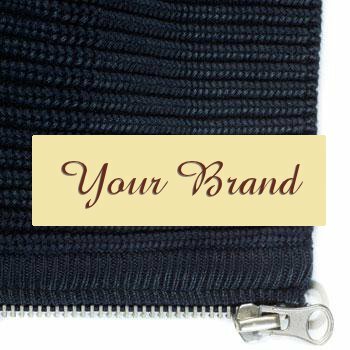 Our website features the ability to upload your photo/logo and put it on labels, fabric of textile items. We take almost any file format. Use the „Front Side“ selector and select „Logo or Photo“ while configuring your product. Click „Browse“ to locate the image you would like to upload from your computer. Click „Upload“ to begin uploading. This may require some time for larger files. Once your logo has been uploaded, a virtual spec will be created. Resolution: For best result, use high resolution images. Minimum 150 dpi. Less is more: Less text makes your labels easier to read. Use contrasting colours. Black text on a white background is the best rated. Cropping: Vertical or horizontal images automatically size for best fit to the space available on the product imprint area. Include an 'invisible' dot in your logo file case you do not want this to happen. Text & Line Weight: Very thin lines, small script and fine details in your logo may not show (evenly) due to surface roughness of the fabric, especially when applying light colors to a dark backgroun. We do not evaluate, proof or modify your design, nor do we point out flaws or imperfections: „What you see is What you get“. You can print your custom designs, images, logos and photos onto cotton fabric, polyester etc. of up to one meter wide and 5 meters long. To do so, start an image editing program such as Adobe Photoshop. Create a new canvas of 6000 x 6000 pixels at 150 dpi. Place your images wherever you like in this canvas and save it as a file in .jpg format. Make sure your file size does not exceed 5 Mb !. 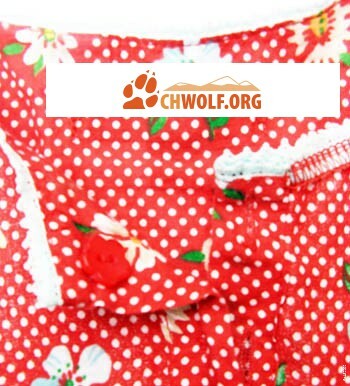 Go to "Print your own fabric" at our website. Upload your .jpg file and select "Pattern: Centered" and "Repeat: 1". Your canvas will now be printed 1 x 1 meter. To print images longer than 1 meter, such as for tablecloths, curtains or clothing of say 1 meter wide and 2.5 meters long, create a canvas of 6000 x 15000 pixels at 150 dpi in photoshop. Again place where your image (s), save the document (remember: file size up to 5 Mb) and proceed as above. Pleaae note, you have to order three meters of fabric, otherwise it does not fit! To help you with colour matching fabrics, you can preview your final print by ordering 10"/25 cm custom fabric swatches at 60% discount. We cannot distribute free samples. How do I access my invoice? Access your account by selecting „My Account“ at our webshop. Enter your e-mail and then your password. Select your order and then click on „view“. Click on „click here to get your Invoice“. It's the easiest way to reorder from past purchases! Access „My Account“. View your past orders. Select the item you want to reorder. Check your design. Make changes as you like. Then add your labels to your cart and go! Find past labels orders? Just scan the QR code printed on your sheet of labels. No order confirmation emails or response from customer support? Immediately after you have placed your order you will receive an order confirmation email. This informs you that we have accepted and are processing your order. If you do not receive (support) emails from us or new passwords, we probably can not reach you through the email address that you have provided. Please check the spam folder of your e-mail client. You may as well have misspelled your email address. Large characters and high contrast between text and background improves readability. The best readability is with a black font on a white background. Choose a large label if you have a lot of text. For your convenience we provide example screen displays that attempt to simulate what the final product would look like. Please bear in mind colours displayed on your screen might look somewhat different from the final product. That's because computer monitors use light which is seen differently by the human eye then the actual product. At the same time, labels will show up as the same on screen but will have different colours when made of different materials, because different materials absorb and reflect colour differently. Please also reckon that simulations of typefonts on woven and embroidered products somewhat differ from the final product due to technical constraints. Prints should not be washed during 5-7 days following delivery. Textile with prints should be washed inside out and set on a gentle machine cycle in cold water. To avoid fading, dry cleaning and machine drying is not recommended. Prints should not be ironed. Struggling to design your labels?